So here we present the basics of Organic Lawn Care. These Organic Lawn Care basics are not cures to lawn problems, rather they are cultural management practices – which are the things we do every day to keep our lawns in excellent health, and to provide them with the greatest chance of both preventing, and naturally fighting off lawn problems with the least amount of intervention. The amount of maintenance a lawn-type requires is vitally important. For example, Zoysia grass is a proven environmentally friendly lawn type, for its ability to naturally need less mowing, high pest and disease resistance, less prone to weeds, needing less water and only needing a fraction of the fertiliser of other lawns. If Zoysia is not the right lawn for you, or your region – Zoysia is for warmer regions only – then carefully research which of the other lawn types require the less lawn mowing, has least thatch build-up, needs least water, and has the greater resistance to weeds and disease. Explore the Quick Lawn Selection Guide to help you make your variety choice. Soil pH represents the levels of acidity and alkalinity in the lawn soil. Lawns will thrive and remain their healthiest when their soils are properly balanced. However, major turf problems can occur when these levels are out of whack. So it’s important to ensure our lawn soil pH is correct. A soil pH test kit is very inexpensive to buy, and the test only takes a few minutes to determine your soil ph levels, and remedies to alter pH levels can be easily applied thereafter if a problem is found. Alternatively, a full soil analysis can be done in a laboratory very cheaply these days. Mow lawns higher as this will reduce water usage, reduce infestations of weeds, pest and disease, and will help to create a deeper root system which is more drought tolerant. A very short lawn, and lawns which are masterpieces, are very high maintenance lawns which require intensive lawn care practices to be kept in these unnatural conditions where they are often far too weak to defend themselves from weeds, pests and diseases. 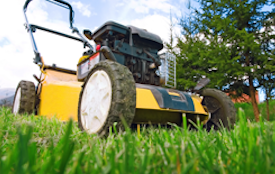 The principles of this article fit in perfectly with Organic Lawn Care Practices, which provides the basic principle of people regularly getting out of the house and walking around their lawns and gardens. Not just to enjoy the healthier lifestyle and enjoy our beautiful gardens, but while we’re out and about, we pull up a weed by hand when we see one, we pull a grass runner out of the garden bed when it’s seen. By doing this, we’re maintaining our lawns with the tiniest of effort and without a second thought, and best of all there are no more big garden cleanups. The other great bonus of 10-Minute lawn Care is when we manage our lawns so easily and so simply by removing little problems when they first occur, our lawns never become out of control with weeds and other problems which would then require chemical treatments to cure. Thatch is important and natural to all lawns as it helps to protect the lawn from damage and shelters the soil from heat and water evaporation. However, too much thatch is a real problem. Excess thatch provides perfect breeding grounds for lawn disease and lawn pests, as well as increasing lawn mowing requirements and leading the lawn to poor health and other problems. Lawn thatch can be controlled mildly with the Lawn Coring process, or most efficiently with Vertimowing, AKA Scarifying. Or we can also cut the lawn down lower than normal once a year in the Spring to help easily control thatch. De-thatch when it is required, and we’ll have a lawn with far less problems. Regular de-thatching will eliminate the extra thatch layer which is often the perfect breeding ground for many lawn diseases. By eliminating thatch, we can greatly reduce lawn disease outbreaks. 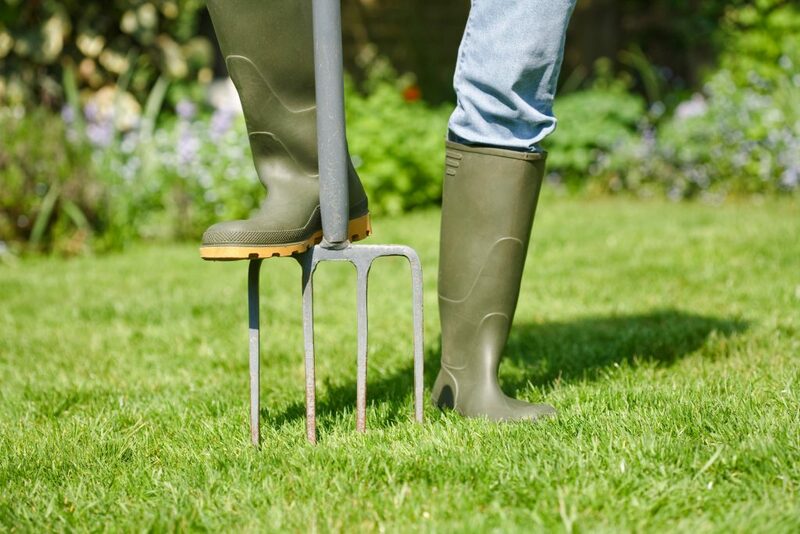 Lawn Aeration is the process of de-compacting the soil under a lawn, which in turn allows greater oxygen to reach the lawn roots, as well as allowing greater free flowing of water and nutrients, which are all essential to good lawn health. 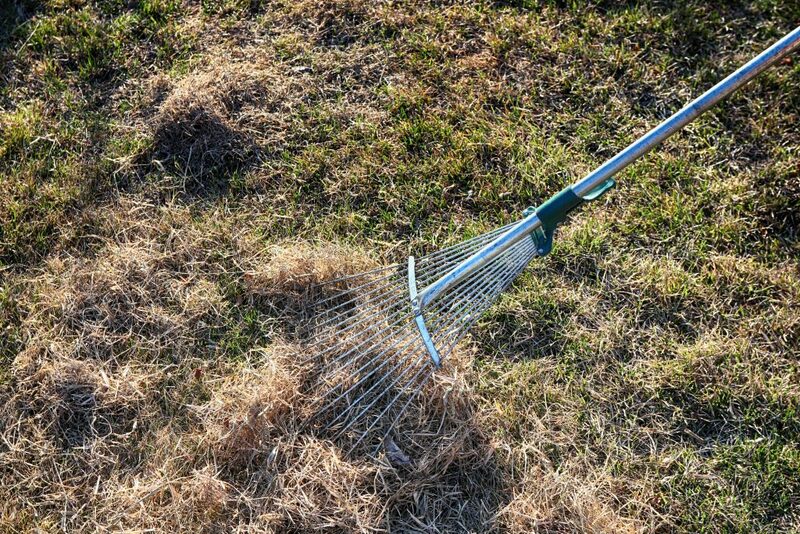 Lawn aeration can be done either with Lawn Coring or using a garden fork to dig into and break up the lawn soil. Lawn coring is by far the very best method. Coring removes thatch in it’s process as well as gaining the greatest possible result from aeration. After lawn coring, the lawn can be fertilised with organic matter, or clay breaking Gypsum which will then go directly into the soil via the open holes to improve soil health. Lawn aeration, and lawn coring in particular will also provide massive benefits in the reduction of many lawn diseases. Instead of applying any type of weed control to our entire lawns surface, it’s always far better to only treat the individual weeds wherever possible. If the weeds cannot be pulled out by hand, then spot treating only the weeds or smallest areas possible will not only save a lot of money on treatments, but will put far less harmful substances into our lawns and environments. Invite birds into your yard with a readily available supply of fresh water and by planting trees and shrubs which are native to your region. Ask at your local nursery for the best advice of what plants, trees and shrubs are native to your specific region. 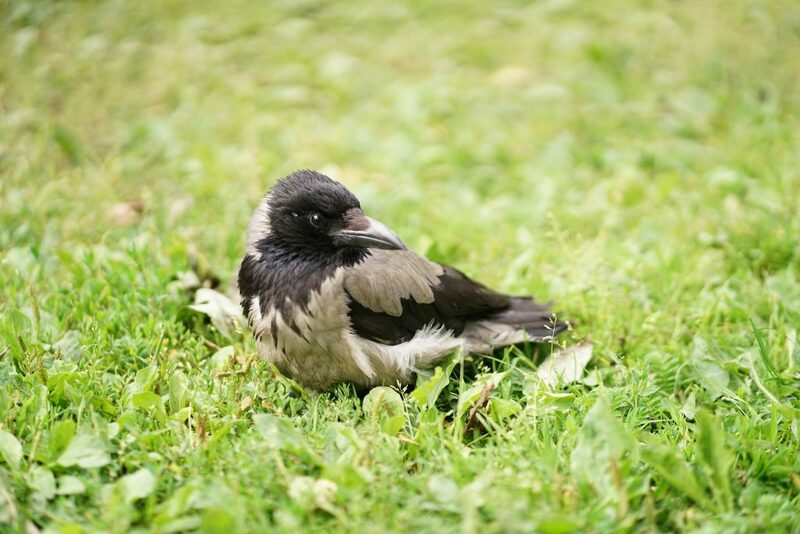 Birds not only bring the beauty of nature to our yards, but will happily eat many lawn pests before they ever get a chance to become a problem.